*If you haven't watched episodes 17&18 of the blacklist season 3, don't read ahead. I'm going to talk about major spoilers. What did I just watch? Because I can't seem to make any sense of it. I'm in shock. And denial. I can't believe what I just saw happening. Nope, can't be. Not possible. There are two main-important characters on this show that you just can't kill off: Red and Liz. Of course I'll be upset if one of the other main characters died but there are characters you simply... can't kill. It makes no sense. The show will never-ever be the same without them. And Liz is that kind of character. It's not the blacklist anymore without Liz. It can't be. And I couldn't find anything online to weather Liz will be back or if she's gone for good. If it was a fantasy show or a science fiction show and the main character was killed, I wouldn't have believed it for a second. There is always a way to bring them back in those kind of shows. But it's a real life (sort of) crime-drama show we're talking about here. No magic. No science fiction technology. Everyone has a theory about weather Liz is alive and if so how. For the moment, I don't believe she's dead. Not only does it makes no sense at all but also because I've been watching the blacklist for 3 seasons now. 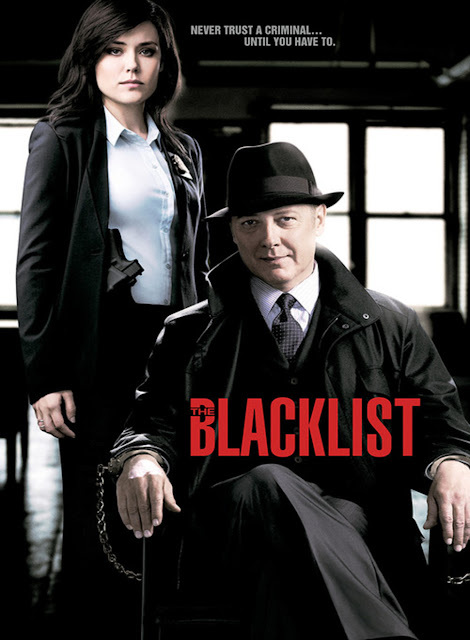 3 seasons are enough to know what kind of show the blacklist is. And it's not the kind of show to kill off Liz like that. Liz almost died I don't know how many times on the show. Raymond also almost died, and even actually died briefly, millions of times. We thought Cooper was going to die but he's alive and well. Tom escaped death as well. And Ressler almost died to. Yet none of them actually died. So now, I don't believe Liz is dead. Even though it looks like she really is. I think the doctor was able to revive her. When her heart stopped and the monitor showed the flat line, there was a quick moment there when we got back to the monitor and it showed a slight jump. Maybe they gave her something to make her appear dead so she can fake her death and hide from whoever it is that's looking for her. Then again, Liz will never agree to leave her child and almost husband willingly. Which I think means she's going to be in a coma for a while. It was their intention to bring her into a coma in the first place. That's the only non-magical and non-sci-fy explanation I could come up with to how Liz may still be alive. I refuse to believe she's dead until enough time has passed and there really aren't any clues. That being said, I won't be watching the blacklist for a while. Without Liz there it's pointless. And everyone is grieving and it's going to be so sad. When we'll know for sure weather Liz will come back or not, if she comes back... I'll be coming back too. If not... well, goodbye the blacklist. It wouldn't be possible for me to watch the show this way. There is also still the matter of Liz\Red relationship. I can't believe they'll kill Liz without her ever knowing the truth. After all that time she was looking for it, after all the clues and speculations... if we find out the truth about who Red is to her without her being there, it won't be the same. Not by a long shot. If you're going to kill someone, at least let them know the truth about what they were looking for. One more reason for Liz to be alive. I realize I haven't really talked about anything but the crazy finale of those last 2 episodes. It's the only thing I can think about right now. It was insane. I literally just finished watching those two episodes and I just had to write it out.Whenever you read a book or watch a good episode (or an insane one, in this case), you feel like you're going to explode without raving and fangirling all about it. Through writing is my way of letting it all out. To share my thoughts, hysterically rave all about it and see what other people think. I'd love to hear your thoughts and theories about what (the hell) just went down! "Everything has to come to an end, sometime."